After more than a year of holding steady, memory prices could fall this year as competition heats up between DRAM makers and excess inventory floods the market. If prices shrink, semiconductor revenue will take a hit in 2015, according to Gartner, which is forecasting year-on-year growth of 5.4 percent, down from a previous projection of 5.8 percent. A key factor leading Gartner to cut its 2015 forecast is the expected price drop of DRAM price drop, which is a significant part of overall semiconductor revenue. Semiconductors are used in computers, mobile devices, cars, medical equipment, machines, television sets and other electronics. The DRAM industry is volatile, with the demand and supply cycles driving the fluctuating prices. DRAM pricing stabilized last year due to a short supply, said Jon Erensen, research director at Gartner. Revenue growth from DRAM last year was 31.7 percent, and this year it is expected to be just 7.7 percent. In recent years, memory makers like Toshiba and Samsung limited DRAM supply after PC shipments tumbled. DRAM prices stabilized in mid-2013 after demand exceeded supply. The companies cut DRAM production and instead made more NAND flash, as demand grew for storage in mobile devices. But PC shipments are now stabilizing as businesses upgrade laptops and desktops, and demand for memory has also shot up. IDC is projecting global PC shipments to decline by just 3.3 percent this year, which is lower than previously expected, and by just 1.8 percent in 2016. Most PCs today have DDR3 DRAM, but servers are now getting the newer DDR4 memory, which is faster and more power efficient. 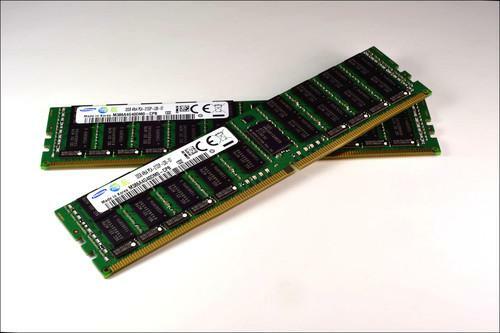 DDR4 memory is currently selling at a premium but prices will fall as adoption grows and supply increases. DDR3 will remain the main memory type for PCs and servers this year, but its popularity will likely dwindle in the coming years. As of Wednesday, the spot price of 4-gigabit DDR3 components was hovering between US$3.10 and $3.95, while 2-gigabit DDR3 was between $1.75 and $2.50, according to Dramexchange, a memory price tracking service. While DRAM revenue won't grow as fast as previous years, the story is different for flash storage -- which is used in mobile devices and solid-state drives -- and Internet of Things components. The IOT segment is emerging and will be strong in the coming years, especially with the mass deployment of LED lighting like smart bulbs. Semiconductor revenue from industrial electronics -- which is also part of IOT -- will grow by 9.1 percent, Gartner said. Unit shipments of IOT equipment in both the consumer and industrial sectors will continue to grow thanks to projects like smart cities. That should help drive up revenue, Gartner said. As in previous years, semiconductor revenue from mobile devices will remain strong, especially wireless components, Gartner said.